With an estimated $22.93 million on Thursday, Star Wars: The Force Awakens easily set a new record for the largest New Year's Eve gross of all-time, as it topped the previous $14.74 million New Year's Eve record take of Avatar by 56 percent. Star Wars: The Force Awakens passed the $650 million mark yesterday and has grossed a massive $651.97 million in two weeks. The film is currently the fourth highest grossing film of all-time domestically without adjusting for ticket price inflation and today the film will pass the lifetime grosses of both this year's Jurassic World ($652.27 million) and 1997's Titanic ($658.67 million) to move into second place. Overseas, Star Wars: The Force Awakens took in an estimated $15.1 million on Thursday. The film has now grossed $679.2 million overseas and $1.331 billion globally. Star Wars: The Force Awakens will have no problem dominating the weekend box office for a third consecutive frame. On the heels of shattering the all-time second weekend record last weekend, The Force Awakens looks set to shatter the all-time third weekend record this weekend, which is currently held by Avatar with a third weekend gross of $68.49 million. BoxOffice expects Star Wars: The Force Awakens to take in $98 million this weekend. Our full analysis and weekend forecast for The Force Awakens and the rest of the New Year's weekend line-up can be read here. Star Wars: The Force Awakens surpassed the $600 million domestic mark on Tuesday after leading the day with $29.5 million. That easily set a new record, as previous record holder Jurassic World took 36 days to reach the $600 million milestone earlier this year. Overseas, Star Wars: The Force Awakens took in an estimated $37.7 million on Tuesday. The film has now grossed $627.4 million overseas and $1.228 billion globally. Star Wars: The Force Awakens continued to easily lead the box office on Monday with an estimated $31.4 million. That represented the second largest Monday gross of all-time, behind only the film's $40.11 million daily take last Monday. 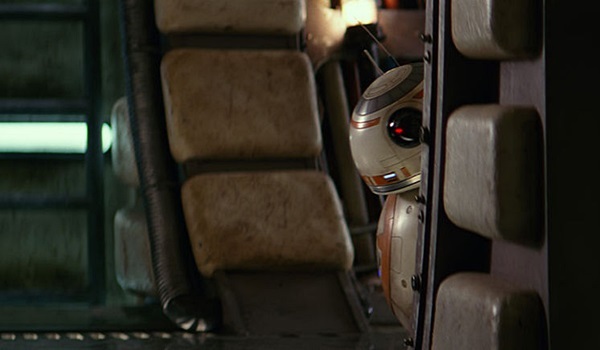 The Force Awakens has grossed a massive $571.4 million in just eleven days. That already places The Force Awakens in fifth place on the all-time unadjusted domestic box office chart and in 36th place on the all-time adjusted domestic chart. Overseas, Star Wars: The Force Awakens took in an estimated $39.4 million on Monday. The film has now grossed $589.7 million overseas and $1.161 billion globally. The actual second weekend gross for Star Wars: The Force Awakens was a record breaking $149.20 million. With a massive ten-day start of $540.06 million, The Force Awakens is already in fifth place on the all-time unadjusted domestic box office chart and in 41st place on the all-time adjusted domestic chart. Star Wars: The Force Awakens crosses the $1 billion mark in record time. Star Wars: The Force Awakens continued its historic run this weekend with an estimated record breaking second weekend take of $153.52 million. The film has grossed a massive $544.57 million in just ten days. That already places The Force Awakens in fifth place on the all-time unadjusted domestic box office chart and in 40th place on the all-time adjusted domestic chart. Read more on the film's record breaking second weekend performance. Star Wars: The Force Awakens took in an estimated $49.34 million on Friday. That was by far the largest Christmas Day gross in history (soaring past Sherlock Holmes' $24.6 million opening day Christmas gross in 2009). BoxOffice is currently projecting that The Force Awakens will take in a sophomore weekend gross of $161 million, which will easily top Jurassic World's second weekend record take of $106.6 million. Overseas, Star Wars: The Force Awakens grossed $27.5 million on Christmas Day. The film has now grossed $449.9 million overseas and $890.3 million globally. Star Wars: The Force Awakens continued to rule the box office on Thursday with an estimated Christmas Eve take of $27.59 million. That easily represented the largest Christmas Eve gross of all-time, as the film rocketed past the previous Christmas Eve record of $11.15 million set by Avatar back in 2009. The Force Awakens has grossed a massive $391.05 million in its first week of release. That represents the largest seven-day start of all-time, as it tops the previous $296.21 million seven-day record gross of this year's Jurassic World by $94.84 million and 32 percent. Overseas, Star Wars: The Force Awakens took in an estimated $20.0 million on Thursday. The film has now grossed $422.4 million overseas and $813.5 million globally. Star Wars: The Force Awakens added an estimated $38.1 million to its domestic haul on Wednesday, giving the film a staggering six-day gross of $363.5 million. That is nearly 31 percent higher than the $278.4 million six-day gross of previous record holder Jurassic World. Star Wars: The Force Awakens crosses the $750 million global mark. UK, Germany, and France lead the charge as the top grossing overseas markets. Star Wars: The Force Awakens looks to continue its historic run this weekend by setting a new all-time second weekend record with ease. 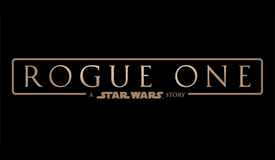 Given the film's strong word of mouth, the film's strong daily holds thus far for a film of its size and the bump the film will receive from Christmas falling on Friday this year, BoxOffice expects Star Wars: The Force Awakens to take in $163 million this weekend. Our full analysis and weekend forecast for The Force Awakens and the rest of the Christmas weekend line-up can be read here. Overseas, Star Wars: The Force Awakens took in an estimated $41.3 million on Tuesday. That brings the film's overseas total to $364.0 million and current global total to $689.4 million. 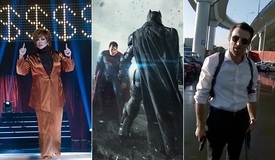 A list of the film's highest grossing overseas markets through Tuesday can be found here. Disney's Star Wars: The Force Awakens continued its record breaking pace on Tuesday with an estimated $37.3 million for the day. The blockbuster seventh installment of the Star Wars franchise set a new record for the largest Tuesday gross of all-time, as it topped the $35.02 million opening day Tuesday performance of The Amazing Spider-Man back in July of 2012. Star Wars: The Force Awakens flew past the $300 million domestic mark yesterday and has grossed a massive $325.4 million in five days of release. That represents the largest five-day start of all-time. In reaching the $300 million domestic milestone in just five days, The Force Awakens overtook Jurassic World as the quickest film to ever reach the $300 million domestic mark (Jurassic World took eight days to reach the milestone). The Force Awakens is currently running 26 percent ahead of the $258.49 million five-day start of previous five-day record holder Jurassic World. Star Wars: The Force Awakens continued its truly historic box office run on Monday with an estimated record smashing Monday gross of $40.1 million. The blockbuster seventh installment of the Star Wars franchise obliterated the previous all-time Monday record of $27.66 million that had been set by Spider-Man 2 way back in July of 2004. Star Wars: The Force Awakens has grossed $288.1 million in four days, which easily represents the largest four-day start of all-time. The Force Awakens topped the $234.15 million four-day start of previous record holder Jurassic World by $53.95 million and 23 percent. Overseas, Star Wars: The Force Awakens took in an estimated $41.7 million on Monday. That brings the film's overseas total to $322.7 million and current global total to $610.8 million. Weekend actuals are in and Star Wars: The Force Awakens has opened with a record breaking $247,966,675. The Force Awakens demolished the previous opening weekend record, as it opened $39.16 million and 19 percent ahead of the $208.81 million debut of previous record holder Jurassic World earlier this year. Star Wars: The Force Awakens grossed $119.12 million on Friday (which included $57.0 million from Thursday night shows), decreased 43 percent on Saturday to gross $68.29 million and declined 11 percent on Sunday to take in $60.55 million. 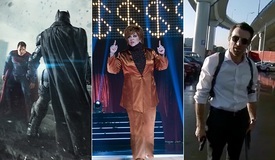 This weekend's full list of box office actuals can be found here. Disney estimates that Star Wars: The Force Awakens opened with $238.0 million this weekend to establish a new all-time opening weekend record. The Force Awakens zoomed past the $208.81 million debut of previous record holder Jurassic World by $29.19 million and 14 percent. After the film's record breaking $120.5 million opening day on Friday, Star Wars: The Force Awakens fell 43 percent on Saturday to gross $68.7 million (which represented an 8 percent increase from Friday when factoring out Thursday night grosses). 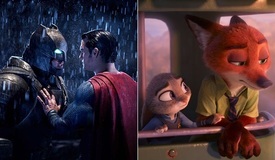 Disney estimates that the film will decline 29 percent on Sunday to gross $48.8 million. Read more on the film's record breaking performance this weekend. The official Friday figure from Disney for Star Wars: The Force Awakens is $120.5 million. The figure includes $57.0 million from Thursday night preview grosses and $63.5 million from Friday. The film demolished the previous opening day record of $91.1 million that was held by 2011's Harry Potter and the Deathly Hallows Part 2 and opened 47 percent higher than the $82.0 million opening day take of Jurassic World earlier this year. BoxOffice is currently projecting that Star Wars: The Force Awakens will easily set a new all-time opening weekend record with an estimated $250.0 million for the entire weekend. Shawn Robbins' full report on the record breaking opening day performance of Star Wars: The Force Awakens can be read here. The film enters Saturday with $250 million worldwide. Overseas grosses continue to show strength with $129.5 million through three days of release. Star Wars: The Force Awakens might be breaking records around the world, but the film settles for second place in its opening day in South Korea. Local title The Himalayas pulled an upset on Friday, outgrossing the latest entry in the Star Wars saga despite already being in its third day in release. As of Thursday evening Disney is projecting that Star Wars: The Force Awakens is on pace for an opening day performance in the range of $120M+ (which includes the $57M the film grossed from Thursday night preview shows). Disney's very early weekend projection for Star Wars: The Force Awakens is $215M+. Our full updated opening day report on Star Wars: The Force Awakens can be read here. Executives from the top exhibition circuits in the United States react to what promises to be a record-setting opening day. Screenings are being added throughout the weekend to accommodate as many as possible in what looks to become a historical opening weekend for Star Wars: The Force Awakens. Star Wars: The Force Awakens opened with a record breaking $57.0 million from Thursday evening shows that began at 7 PM. That represented the largest evening/late night start ever domestically, as it easily topped the $43.5 million midnight launch of 2011's Harry Potter and the Deathly Hallows Part 2. Further reports on the domestic box office progress of Star Wars: The Force Awakens throughout the weekend can be found here. Star Wars: The Force Awakens has now grossed $72.7 million in its first two days overseas. The film opened in an additional 32 markets on Thursday, which brings the film's total market count to 44. The Force Awakens set new opening day records in major markets that included the UK / Ireland ($14.4 million), Germany ($7.1 million) and Australia ($6.8 million). Our detailed report on the film's overseas performance on Thursday can be read here. As the film's Thursday evening domestic launch quickly approaches, Star Wars: The Force Awakens continues to generate tweets at a record-breaking pace on Twitter. The Force Awakens is on pace to generate the most release week tweets ever on record (the current record of 2.2 million release week tweets is held by last year's The Fault in Our Stars). Alex Edghill's continued Twitter analysis of Star Wars: The Force Awakens throughout the rest of the week can be read here. Star Wars: The Force Awakens took in an estimated $14.1 million from 12 overseas markets on Wednesday. France was responsible for $5.2 million of the film's overall total gross on Wednesday (which nearly doubled the opening day performance of Jurassic World in France), while the film took in $2.0 million in Italy. 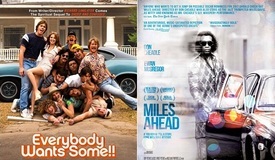 It should be noted that there were no midnight screenings as part of the film's opening day overseas launch. Our full report on the film's overseas start on Wednesday can be read here. Ten years after Revenge of the Sith and 32 years after Return of the Jedi, the wait is finally over for Star Wars fans as Disney's Star Wars: The Force Awakens makes its debut in theatres this weekend. Thanks in part to record-breaking pre-sales and massive online activity levels, BoxOffice is predicting that Star Wars: The Force Awakens will set a new all-time opening weekend record this weekend with $229 million. Our full analysis and weekend forecast can be read here. Check back at this space in the coming days and weeks for further box office updates on Star Wars: The Force Awakens.